Dallas Dhu Distillery was built at the beginning of the 20th Century. It has been decades since a single bottle of whisky flowed from the stills at Moray’s historic Dallas Dhu distillery. The Forres site has been an interesting museum piece and still enjoyed by hundreds of visitors each year, though it “closed” in the 1980s. It has showcased the different ways of making malt – and has therefore continued to play an important role in the industry. For many years, however, campaigners have harboured hopes of being able to sample a nip of the Dallus Dhu once more. Now Historic Environment Scotland (HES), which manages the attraction, is calling for commercial partners to come forward and help redevelop the distillery. A public notice published on their website called for proposals to be lodged with them and stated that there was a possibility of recommencing distilling at the historic site. A spokeswoman for the organisation said: “We have recently published a public contract notice inviting expressions of interest in exploring opportunities at Dallas Dhu. “Given the unique nature of the site, we are keen at this stage not to limit the scope of potential interest, so interested parties can apply either on their own, or as part of a group, as well as submitting ideas for different parts of the site. “The aim is to look at opportunities to explore different options to build on Dallas Dhu’s distinct heritage and offering, to encourage opportunities for use which will enhance the site and its existing visitor offer. Dallas Dhu distillery has a long and storied history, having first begun production back in 1898. It survived being shut down during the Great Depression, a fire that ravaged the building in 1939 and the Second World War before being closed for a final time in 1983. This was due to falling demand of whisky, an excess of stock and the unreliability of the water supply there. The site also lost its distilling license in 1992 after falling into public hands – though it remains owned by drinks giant Diageo. Moray MSP Richard Lochhead has long campaigned for the picturesque premises to be able to produce whisky once again and he was pleased after hearing that steps have been taken to ensure this might happen. He said: “I am delighted that at long last Historic Environment Scotland are seeking external investment to write a new chapter in Dallas Dhu’s story given that this is a spectacular setting that represents a very special part of the history of Scotch whisky. 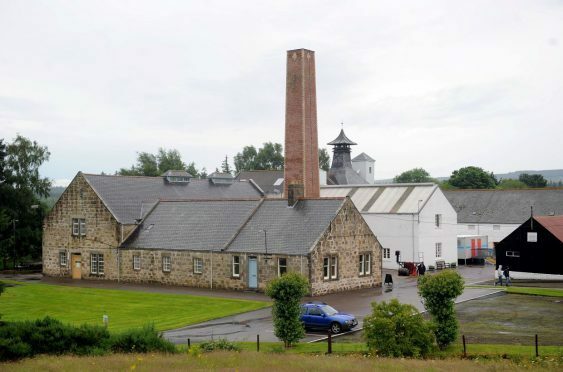 “I have had several meetings with the authorities in recent years pressing for the site’s potential to be developed to make a bigger contribution to the local economy and to the most of having such a wonderful distillery on our doorstep. Bottles of Dallas Dhu whisky are sought after by collectors since the site stopped being active, with some commanding prices of over £1,000.